From classic breakfast pancakes with whipped maple butter to potato waffles with BBQ beans, here you’ll find 28 delicious ways to enjoy the ultimate in comfort food any time of the day. Like to start your lazy weekend with a stack of buttermilk pancakes dripping with maple syrup? Enjoy indulging in fluffy pancakes topped with melting ice cream drowning in hot sauce for dessert? Or perhaps crisp waffles oozing with melted cheese and on a cozy night in? Whatever way you choose to serve them, pancakes and waffles are the ultimate comfort food and universally loved. 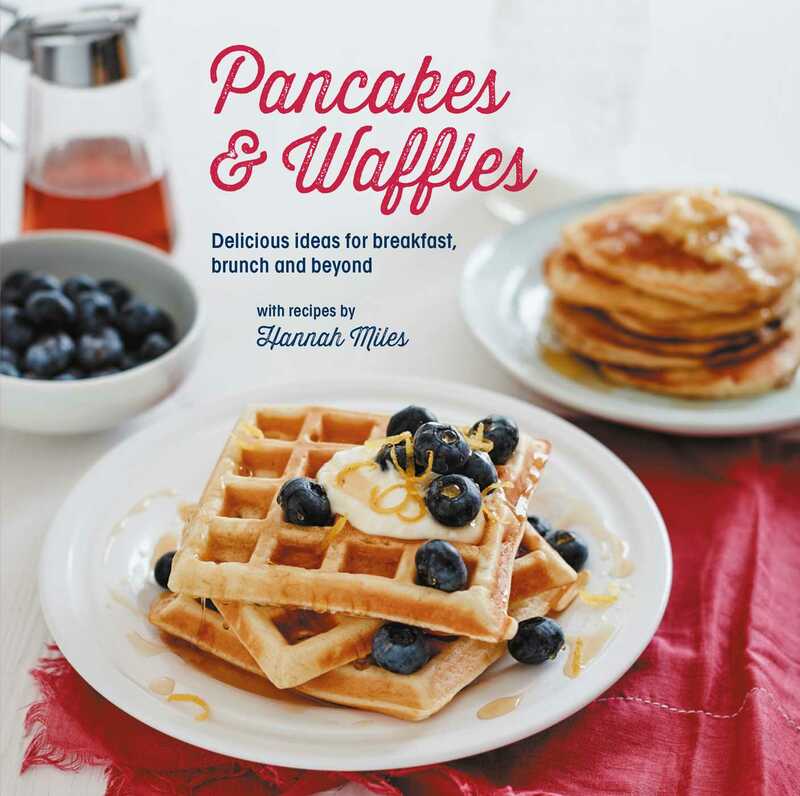 But they can be so much more than a leisurely brunch or quick dessert option; pancakes and waffles can be endlessly reinvented to make tasty and satisfying meals and treats for any time of day, and here are some wonderful recipes to get you started! A chapter of WHOLESOME & HEARTY recipes includes nutritious recipes to kick start your day including Protein Pancakes; Oatmeal Pancakes with Berry Compote and Granola Pancakes with Salty Honey Sauce. FRESH & FRUITY recipes to try include Buttermilk Blueberry Pancakes with Blueberry Lime Sauce or Pear and Ginger Waffles—all perfect for teatime indulgence. Make sure you save room for dessert—DECADENT & DELICIOUS treats include Oreo Pancakes with Chocolate Fudge Sauce and Salted Caramel Waffles. And don’t stop with the sweet options—SAVORY & SATISFYING recipes make the perfect lunch or breakfast-for-dinner option: try Beer and Bacon Pancakes, Squash and Goat Cheese Pancakes or Huevos Rancheros Waffles.